since April, 2003, - Director of St. Petersburg Branch of the Institute of Oriental Studies, the Russian Academy of Sciences. 2000 - Doctor of History. Thesis theme: “The Theory of the State Rulership in the Early T'ang China”. Since 1995 till now - Associate Professor of the Department of Oriental Studies of St. Petersburg State University. The main subjects of the current research: - political thought, government and administrative system of medieval and especially Tang China; - cataloging of the Chinese rubbings and Dunhuang collections of the St. Petersburg Branch of the Institute of Oriental Studies; - translation into Russian, research and commentary of the Tang Chinese source “The Essence of Policy during the Chen-Kuan Period” (Chen-Kuan cheng yao) by Wu Ching (670-749); political thought of the reign of the Tang Empress Wu-hou (683-705). Participation in the International Conferences: “Education in and on China and Chinese” (Lahti, Finland, October, 1997); “Tang Civilization” (St.Petersburg, September, 1998); the "Second Russian Congress of the Oriental Studies” (Kazan, Russia, October, 1999); “52nd Annual Meeting of the Association for Asian Studies” (San-Diego, USA, March, 2000); Conference on Dunhuang Studies (Hangzhou, China, May, 2002); 14th Conference of the Association of Chinese Studies (Moscow, August, 2002); the “Third Russian Congress of the Oriental Studies” (St. Petersburg, Russia, September 2002), 37th International Congress for Asian and Northern African Studies (Moscow, August, 2004). Brush and Qalam. 200 Years of the collection of the Institute of Oriental Manuscripts. Exhibition Catalogue. Ed. by I. F. Popova, A. D. Pritula, N. V. Yampolskaya. Saint Petersburg: The State Hermitage Publishers, 2018. Popova I.F. S.F. Oldenburg's First Russian Turkestan Expedition (1909-1910) // Russian Expeditions to Central Asia at the Turn of the 20th Century / Collected articles. Edited by I.F. Popova. St Petersburg, Slavia Publishers, 2008. P. 148-157. 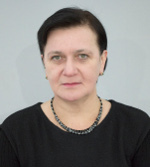 Popova I.F. Russian Expeditions to Central Asia at the Turn of the 20th Century // Russian Expeditions to Central Asia at the Turn of the 20th Century / Collected articles. Edited by I.F. Popova. St Petersburg, Slavia Publishers, 2008. P. 11-39. Popova I.F. The Administrative and Legal Regulations of the Tang Emperors for the Frontier Territories // Central Asian Law: An Historical Overview. Kansas 2004. P. 41-54.